With the quality of zoom lenses these days, it’s hard for me to get excited about a camera with a fixed, prime lens – especially one that sells for $1200. That’s one of the main reasons I pooh-poohed the Fujifilm X100 digital rangefinder, even while other photographers were raving about it. I know it’s got a great 12-megapixel APS-C CMOS sensor and an excellent Fujinon 23mm f/2.0 lens (equivalent to 35mm focal length on a 35mm/full-frame camera). But on paper, the X100 just didn’t do a thing for me. I figured the X100 hype was mostly photographers just wanting something different and new. My main argument was that it isn’t practical. 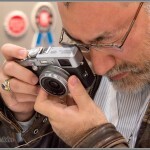 Why not just put a 35mm prime lens on a digital SLR or compact system camera? But I finally took a closer look at the camera and I have to admit, I think it’s pretty sweet. Once I got it in my hands and took a gander through the hybrid viewfinder, the excitement about the X100 started to make sense. 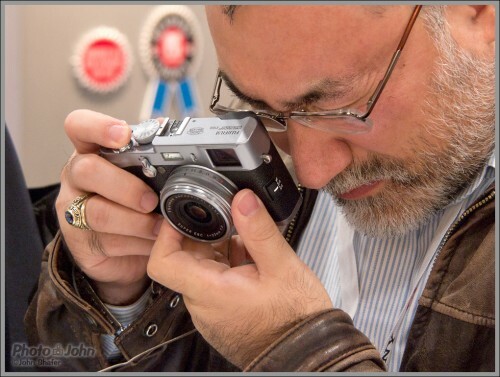 I got my first real look at the X100 at the PhotoPlus Expo, in October. I was visiting the Fujifilm booth and took a few pictures of it but was too busy to actually pick it up and play with it. This weekend I visited my local pro camera dealer, Pictureline, and spent a few minutes getting a better feel for the X100. And that’s when it clicked for me. First of all, the rangefinder-style hybrid viewfinder is beautiful. The optical viewfinder is bright and crisp and instead of the camera data being off on the edges like most cameras, it’s right on top of the image like the head’s-up fighter jet displays you see in the movies. There’s even an electronic level that goes right across the middle of the viewfinder. If you want to review your images in the viewfinder or you’re shooting low light, you can quickly toggle between the OVF (optical viewfinder) and EVF (electronic viewfinder) with a lever on the front of the camera. And the 1.4-million-dot EVF is excellent. Only about 3 or 4 years ago, electronic viewfinders were a real compromise. That’s not at all the case with the new generation of EVFs and the X100′s hybrid viewfinder really offers the best of both worlds. The other really notable thing about the X100 is the design of the camera. 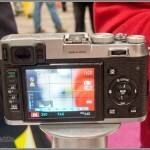 The X100 is a handsome camera when you see it on the Web or in a brochure. But in person it’s downright gorgeous. And the solid, all metal body and controls *feel* gorgeous, too! I’ve seen a lot of comparisons to the Leica M8 and M9 digital rangefinders but I don’t think they’re really accurate. The X100 might look a lot like a traditional rangefinder but the viewfinder and controls give it more precise, digital SLR-like control. 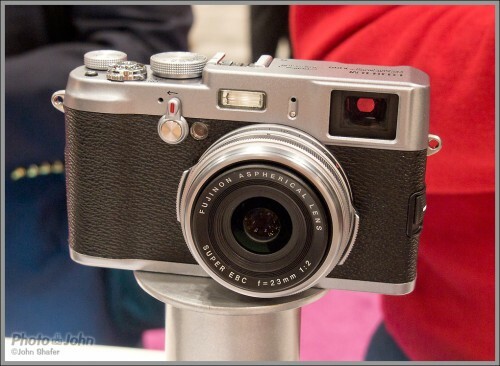 I think it would be fairer to say the X100 splits the difference between the Leica M9 and a digital SLR. Like a manual film camera or the Leica rangefinders, it’s got a shutter speed dial on the top plate and an aperture ring on the lens and your exposure choices are limited to manual, aperture priority, shutter priority and program. If you’re looking for scene modes or an “intelligent” auto mode, the X100 is not your camera. 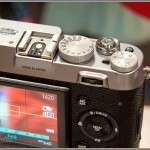 But the X100 has auto focus, a lot more digital options and a more digital feel than the Leica M9. Although the X100 may appear Cartier-Bresson on the outside, it’s a lot more Star Wars when you get it in your hands. Once again, a camera with a spec sheet that didn’t excite me surprised me in person. It just goes to show you can’t judge a book by its cover. Or something like that. 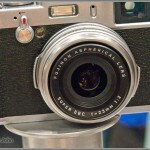 I’m still not one hundred percent on board with the Fujifilm X100 – it’s just not the camera for me. But I do understand it now and there’s no doubt it’s a special camera. 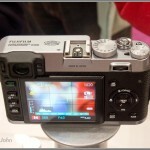 I love the hybrid viewfinder and the camera feel and design. I’m not in love with the fixed prime lens, though. I understand the 35mm lens (equivalent) is a traditional street photography focal length. But that’s just too limiting for my taste – and money. 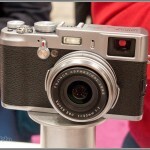 However, there are confirmed reports of an interchangeable lens version of the X100 in the works. An X100 with a nice zoom lens or good interchangeable lens options – that’s a camera I can really get behind.